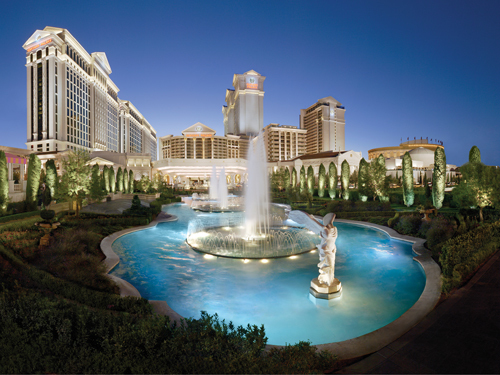 The Shaklee Family will be staying in style at Caesar’s Palace…the most iconic resort on the Las Vegas Strip. This majestic Las Vegas hotel offers a 129,000 square foot casino, 26 restaurants and cafes, sprawling gardens and pools, a world-class spa, The Forum Shops – home to more than 160 designer boutiques — and the renowned Colosseum, which is home to the greatest entertainers in the world. Rooms are $140 per day plus taxes and fees. Available in King or Double Queen sized. Accessible rooms also available. Must book room by June 19, 2019 to receive Shaklee rate. PLEASE NOTE: Upon booking your reservation, your credit card will be charged a deposit equal to the first night's room and tax. This deposit is charged immediately upon booking and is non-refundable. A daily resort fee of $25.00 (subject to applicable tax) will be added to your reservation upon check-in.The resort fee includes the following services: In-room high speed Internet each day (TWO DEVICES PER DAY), daily access to the fitness room at our spa for 2, and local calls.